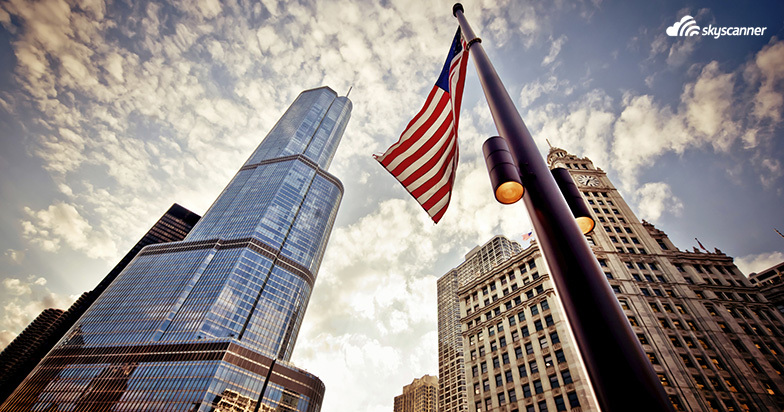 Find the best flight deals for your Labor Day Weekend Getaway! Labor Day cheap flights up to 50% off domestic and international destinations. Not sure where to go? Skyscanner has you covered with the best places to go for Labor Day weekend. The following destinations are the most popular for Labor Day flight deals, based on searches for Labor Day flights in 2017. We’ve chosen some of the top destinations for you to quickly look at, but as usual, use the Skyscanner app to find out what the best deals are from the closest airport to you. 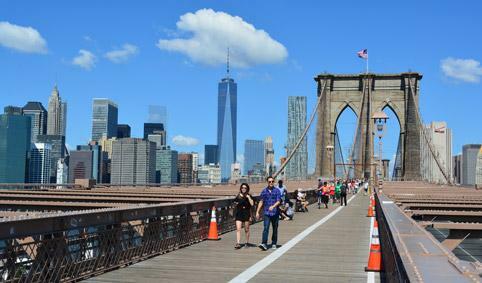 New York﻿ – One of the greatest American cities is arguably the best spot to head to for Labor Day. You can catch a Broadway show to keep yourself entertained or head to the top of the Rock for some spectacular views of the city. If you’re looking to save money, consider purchasing a CityPASS which will give you admission to six attractions for well below retail price. Miami﻿ – If you want to work on your tan, Miami is the place to go. South Beach is where you’ll want to head for the sun, but how about checking out the Wynwood Walls for a little art? Alternatively, the Brickell City Centre is one of the best places to shop if you need some retail therapy. Las Vegas – Forget gambling, Las Vegas has become a mecca for food and entertainment. Gordon Ramsay’s Burger serves up the best (you guessed it) burgers in the city. As for a show, Cirque du Soleil’s “O” still wows the crowds. Los Angeles﻿ – Here’s another city that has seen it’s arts scene explode over the last few years. The Broad is one of L.A.’s newest galleries that features more than 2,000 pieces of international and American contemporary art. There’s also the Museum of Contemporary Art (MOCA) which is located across the street from the Broad and has one of the largest permanent collections of postwar art in the world. 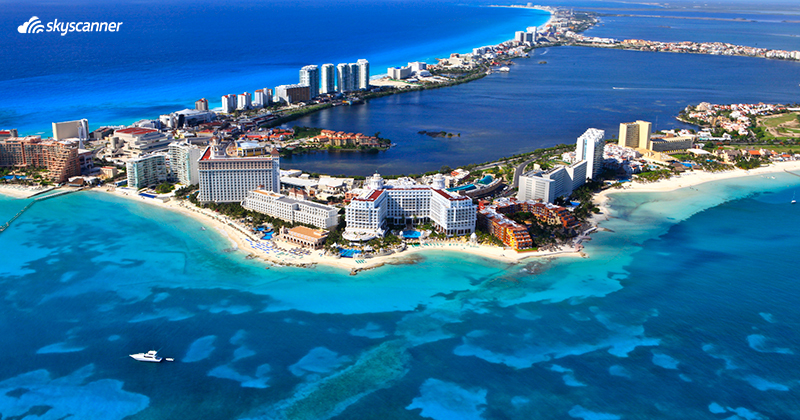 Cancun﻿ – If you missed Spring Break in Cancun, maybe it’s time to head south during Labor Day. Most of the resorts here are all-inclusive so it’s perfect for those types of travelers who don’t like to plan. 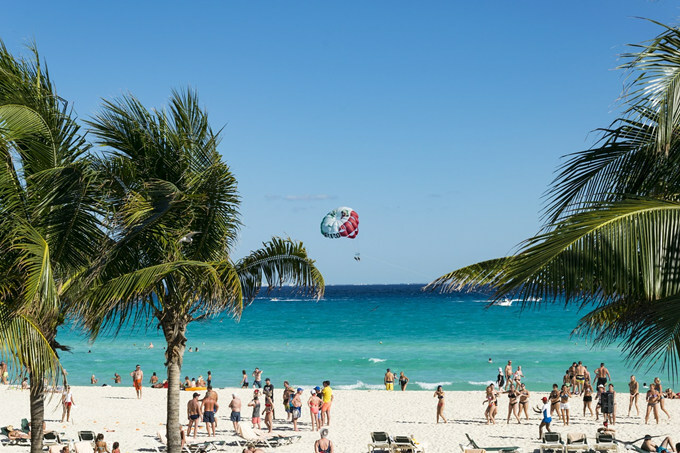 Of course, there are plenty of things to see nearby Cancun including eco-parks and Mayan Ruins so it’s not like you don’t need to stay on the resort your entire time there. ﻿London﻿ – Traveling across the ocean for the Labor Day weekend may seem crazy, but if the price is right, why not? The best place in the city is arguably the Southbank where you can see Tower Bridge, City Hall, the Tate Modern and many other attractions. Keep in mind that most of the museums and art galleries in the city are free so London may not be as expensive as you think. Toronto﻿ – Toronto is a great place to go since the American dollar is strong compared to the Canadian dollar right now. You can get cheap tickets to a baseball game for less than $10, but you’ll be at the VERY top of the Rogers Centre. If you want to get a feel of the city, head to St. Lawrence Market where a mix of local cuisines come together. San Juan﻿ – Puerto Rico was the second most popular Labor Day getaway in 2017 (second only to Cancun) prior to Hurricane Maria tore through the island. San Juan is back up and operating as a lively, sun-filled Labor Day destination in 2018. Tourism to Puerto Rico is not only beneficial for your out-of-office relaxation, but also for helping the island get back on its feet. What is Labor Day in the United States? Labor Day﻿ in the United States is an important public holiday celebrated on the first Monday in September. It was established to honor the American labor movement and the contributions that workers have made to the country. Labor Day weekend has the added significance of being the last public holiday of the summer. It is one of the busiest time of the year to travel and searching for Labor Day flight deals can help you save money. Monday, 3 September is Labor Day in 2018 across America so some of the top Labor Day flight deals will run from Thursday 30 August until Tuesday 4 September. Some travelers choose to take extra days off around this public holiday to capitalize on cheap flights Labor Day packages to popular destinations including New York, Miami, Cancun and Las Vegas. When is the cheapest month to book Labor Day flight deals? Based on flight deals from previous years, July is the cheapest month to book flights for Labor Day weekend. The average price for flight deals in July is $344. Prices increase in August and September but are still lower than booking in October and November. January and May are both months when prices for Labor Day weekend flights should offer value. There’s also potential for securing cheap last minute flights for Labor Day if you can be flexible on your route, dates of travel and destination. When is the best week to book flights for Labor Day? According to Skyscanner’s data, the best time to book flights for Labor Day weekend is during the week of July 9th – July 16th, 2018. The overall savings is about 14% based on Labor Day flight deals last year. Prices were pulled from flights leaving the August 30-September 1 and returning September 4-5. The weeks of July 16th-July 23rd and July 23rd-July 30th are the second and third best weeks to book flights with savings of 12% and 9%, respectively. Most travelers will find flights that are in the $200-300 price range when they search cheap travel deals with Skyscanner. The average price paid for Labor Day flights is $398﻿. The majority of travelers will book their Labor Day flights within 0-20 days before they travel. The average amount of time is 47 days before flying for Labor Day. A minority of bookings will be made more than 120 days before Labor Day. The cheapest time to book flights for Labor Day weekend is during the week of July 9th – July 16th, 2018 when prices are about 14% cheaper. 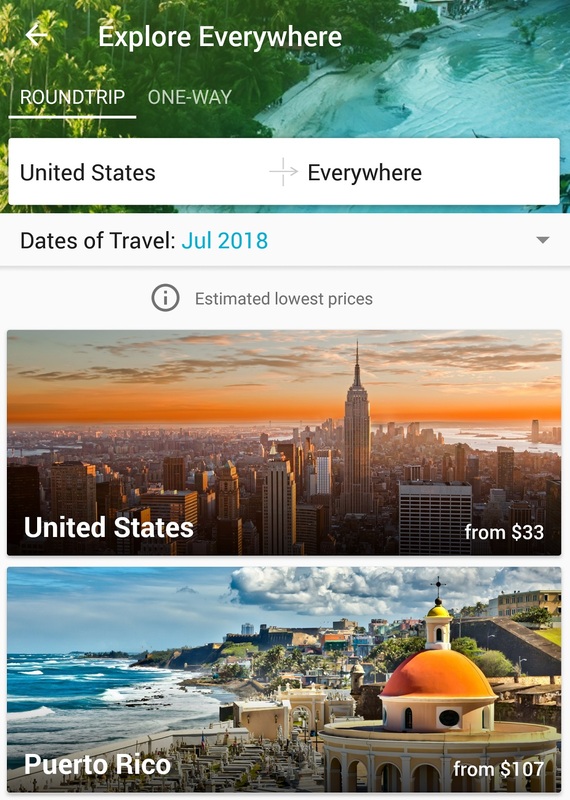 If you don’t have a set location in mind, download the Skyscanner App, click the Explore tab, then “Explore Everywhere” to see where you can go during Labor Day weekend for the cheapest price. Keep in mind that the app gives you a lot of options to save. 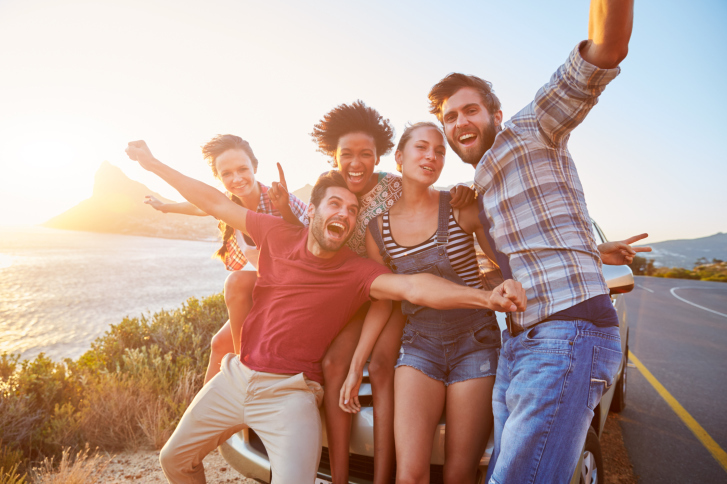 Through our Explore option, we can recommend you popular destinations, quick getaways, longer trips, last minute ideas, and much more. If you prefer to just monitor prices to see how low they’ll go, you should set up a price alert so we can do the work for you. You’ll get an e-mail sent right to your inbox whenever the price drops. To help find cheap flights Labor Day deals, read up on our top tips on how to book last minute flights. Find flights to Kansas City for Labor Day for $103. Popular Labor Day flight deals could take you to Cancun, Los Angeles, Miami, New York or Las Vegas.